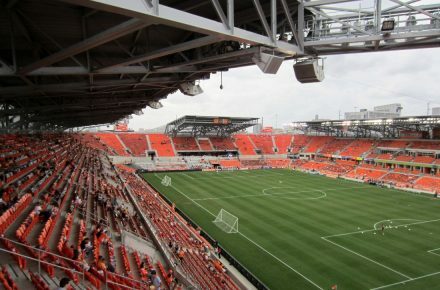 BBVA Compass Stadium got built as part of a deal that was agreed when the San Jose franchise moved to Houston in 2005. It took however over five years of negotiations for building works to finally start. 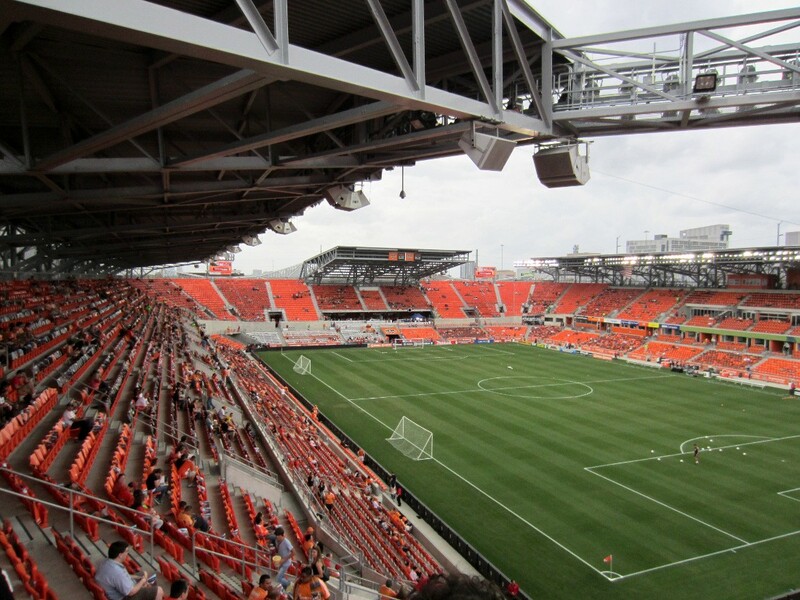 During that time the Houston Dynamo played at the Robertson Stadium, an American football stadium located at the University of Houston campus. 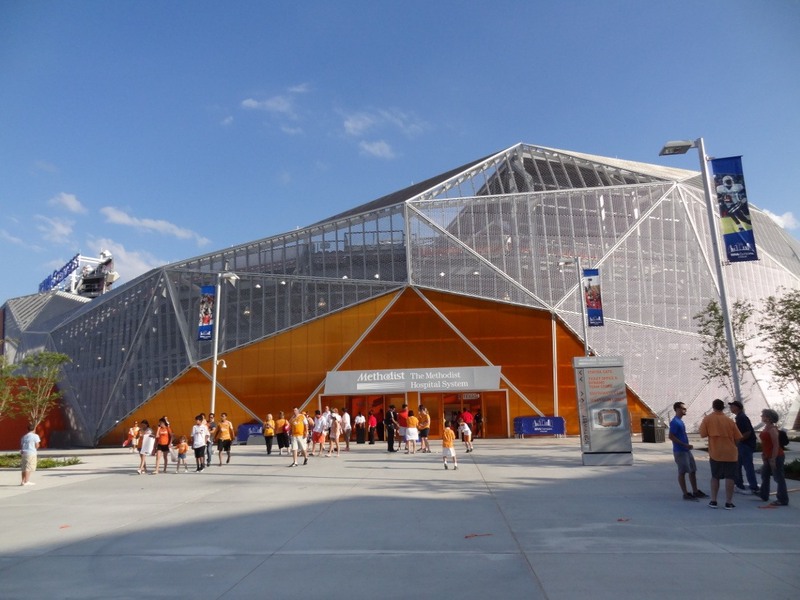 The stadium was designed by Populous at a cost of $95 million, of which $60 million for the actual construction. Its most distinctive features are its exterior made of tessellated aluminium mesh and its bright orange seats. 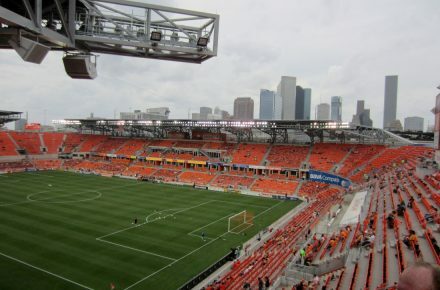 Construction of the stadium started in February 2011 and the stadium officially opened on 12 May 2012 with a match between the Houston Dynamo and DC United (1-0). 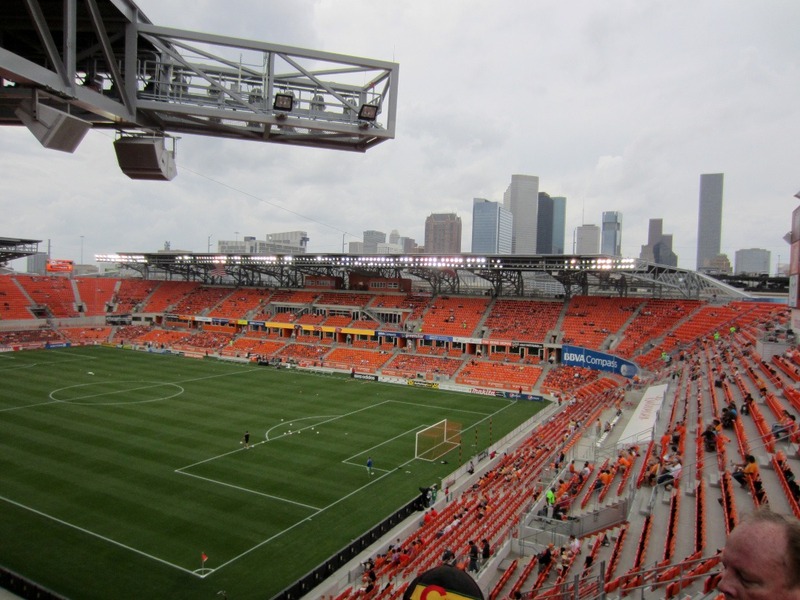 BBVA Compass Stadium is located on the south-eastern edge of downtown Houston, just south of the I-59 and at only a few blocks from Minute Maid Park, the home of baseball team the Houston Astros. From most downtown locations it will be no more than 20 minutes walking to the stadium. There is reserved parking next to the stadium and plenty of private parking facilities in the vicinity or in the downtown area. 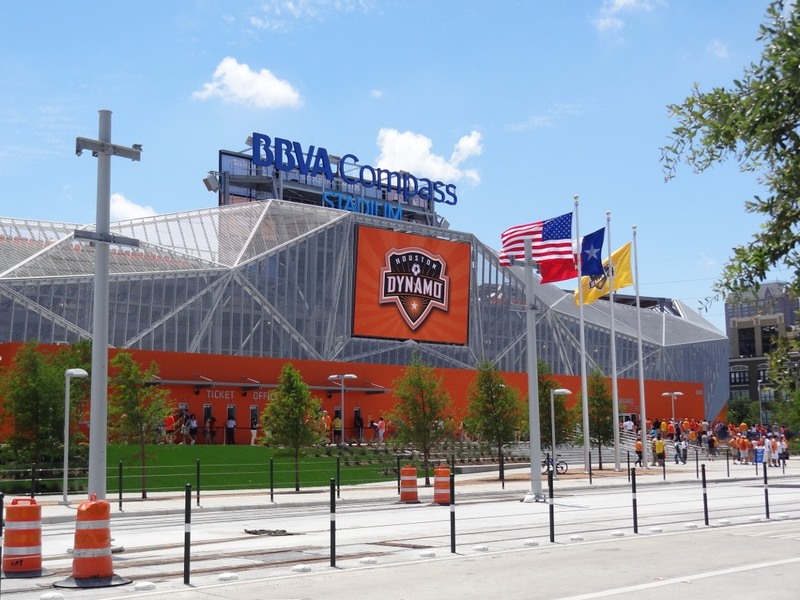 Tickets for Houston Dynamo games can be bought online, by phone 1-888-9AXS-TIX, or at the Ticket Office at BBVA Compass Stadium. 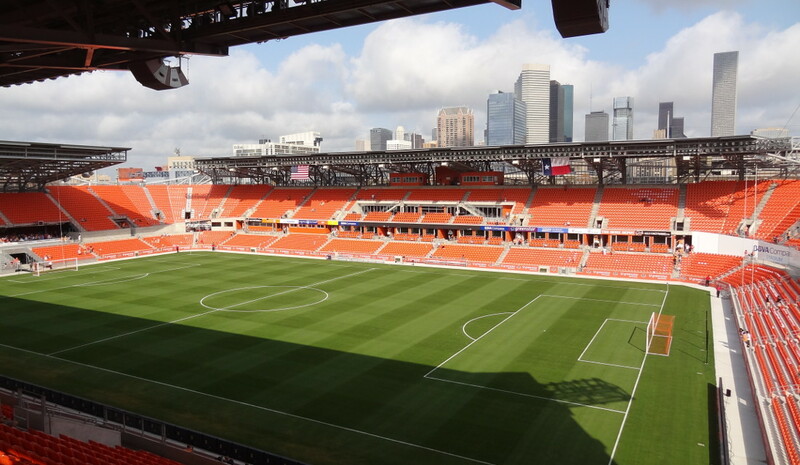 Ticket prices range from $24.00 for an upper-tier seat behind the goal to $49.00 for a central seat at one of the sides. 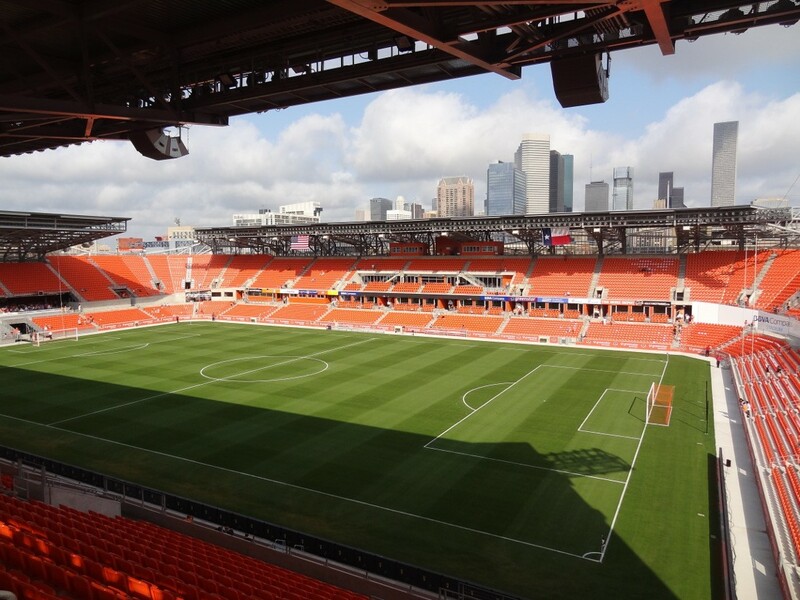 For more information email tickets@bbvacompassstadium.com or call +1 713 276 7500. 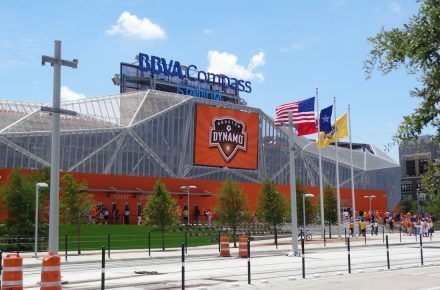 Houstondynamo.com – Official website of the Houston Dynamo. 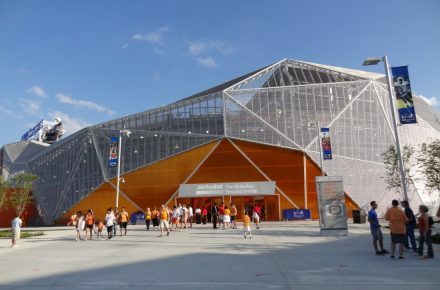 Bbvacompassstadium.com – Official website of the BBVA Compass Stadium. 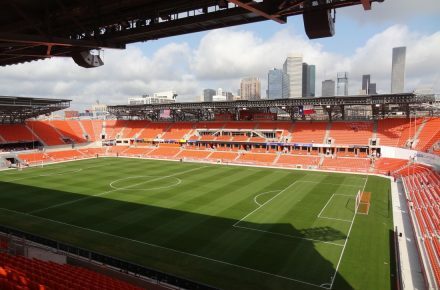 Visithoustontexas.com – Official visitors site for Houston.